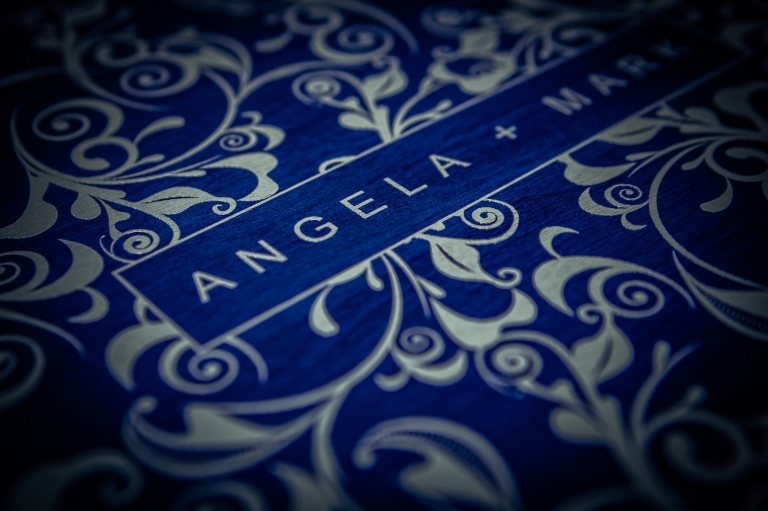 I have another new album design to share with you guys today – this time around featuring Angela & Mark’s fabulous day at Boclair House back in July last year. 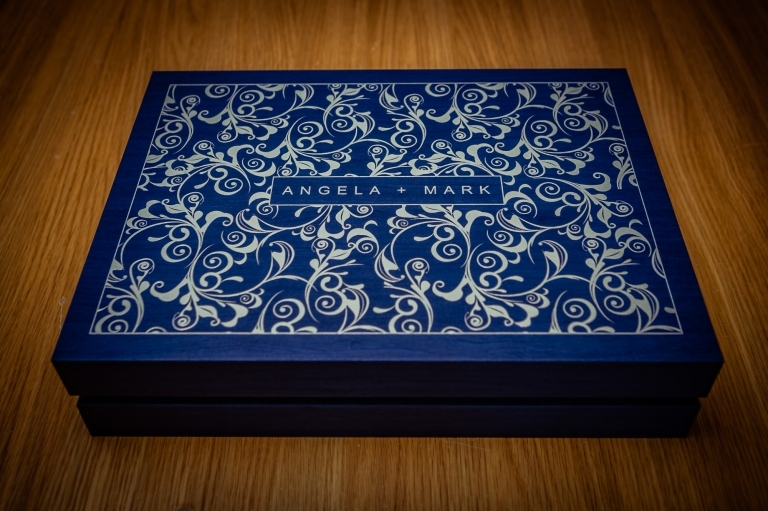 For their album, the guys went for the fabulous “Original Wedding Book” from my lab, Graphistudio. 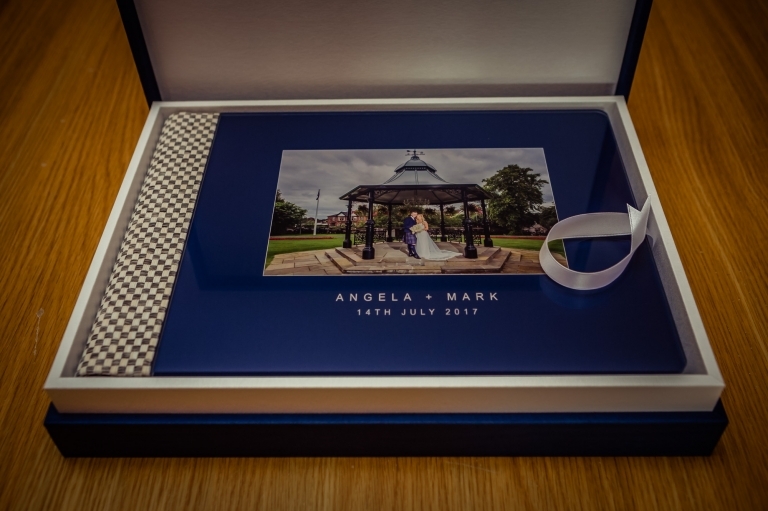 The album itself featured the popular “crystal glance” picture cover with a grey and white woven binding. 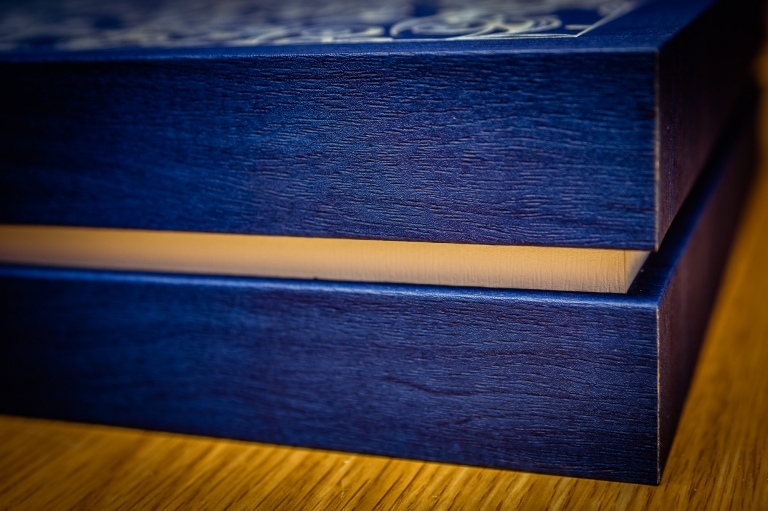 The box was finished in dark blue maple and highlighted with titles on my own “scroll design” raised and varnished white. The 44 pages of loveliness were finished off using Canon’s high definition lustre paper :-).